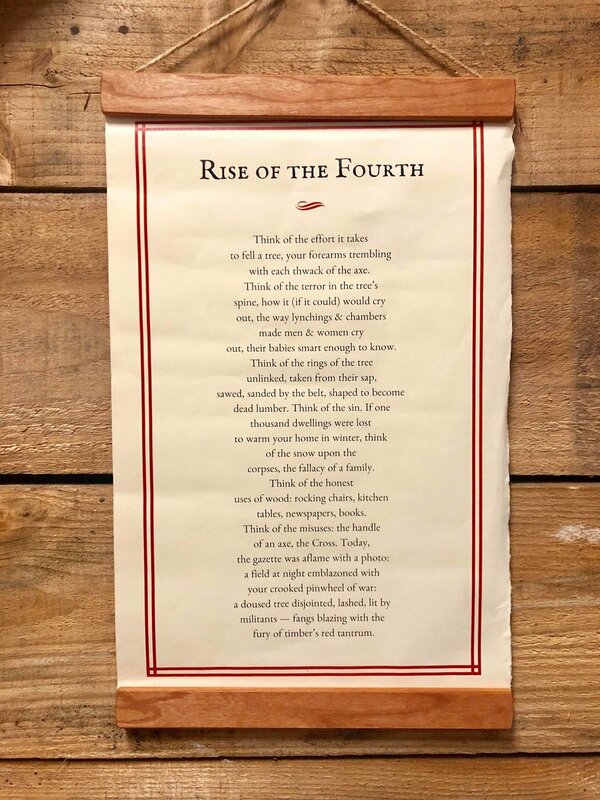 Broadsides are like posters that highlight poems. This is a great option for showcasing some of your best work. Digital and letter-pressed options available.